What I wish I knew before settling for joint custody. You are at:Home»Relationships»Family»What I wish I knew before settling for joint custody. If you are reading this article, chances are you are either going through a divorce or have already experienced the dreaded "D" and are now curious as to what just happened. It may seem like a blur after the court date, and while some of you may have thought that a 50/50 decision was in the best interest of your child, I am here to tell you what, now that my oldest child is 18, I wish I had known 15 years ago. 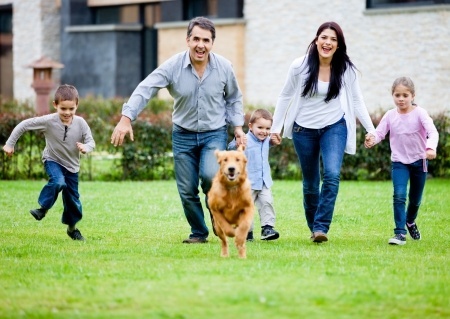 There are countless articles about how joint custody is beneficial to children. And countless people who battle with their souls at night wondering how to cause the least amount of damage to their children during custody battles and how they will all survive being another statistic. As of 2016, there are five states considering laws that will require judges to presume that awarding joint custody is in the child's best interest. Those states include Colorado, Florida, Maryland, Massachusetts, and Missouri. With all of these courts leaning toward equal time with each parent, the system is forgetting to interview the children who have been caught in the middle of a joint custody agreement once they age out of their own custodial papers. A group of ten 18 year old young men and women in a focus group organized through a divorce care class all shared one common denominator. Parents, lawyers, judges, and the court system didn't consider how this moving back and forth would, in turn, effect the lives of the children they were trying to protect. Alarmingly, the majority of the young people interviewed all agreed that, while their parents were happy they got so share custody, they, the children, had a difficult time for having to uproot every week, switch churches, and adjust to a different home schedule. The myth of "what is in the best interest of the child" has become the most politically correct way to serve the best interests of the mother and the father. The child's best interest has been pushed further back behind the parents' best interests, and it is now almost invisible to the courts. The courts are not taking into consideration the difference in parenting styles and are now, in many cases, requiring parents to conform to a required joint custody agreement. Courts should analyze every divorce involving children separately. Awarding joint custody removes the ability of lawyers and judges to examine each situation based upon the best interests of the child. No one knows how being a divorce statistic will affect a child's personality or their ability to live a normal childhood, free of schedule disruptions and differences in parenting styles. In closing, if you are in the midst of deciding what to do, or if you you already have a fractured family, proceed with caution. Constantly ask your children how they feel throughout their teen years and if they are comfortable with the situation. Check on their needs periodically. Make them a part of their own lives. Children are in desperate need of child custody reform.